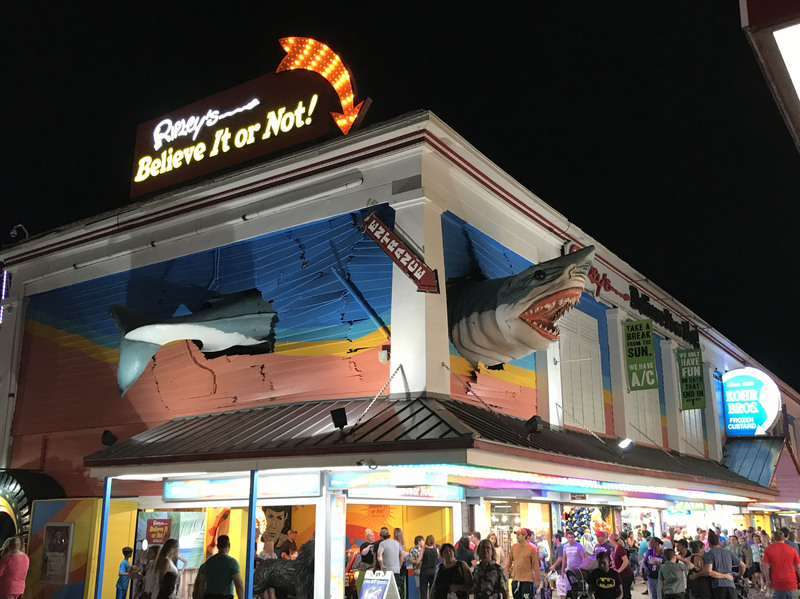 The Ripley’s Believe It or Not! 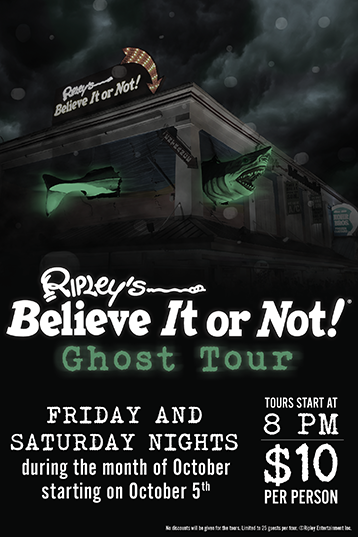 Ghost Tour is an event held by the Ocean City, MD location. I designed a poster for the location to use to promote their event. 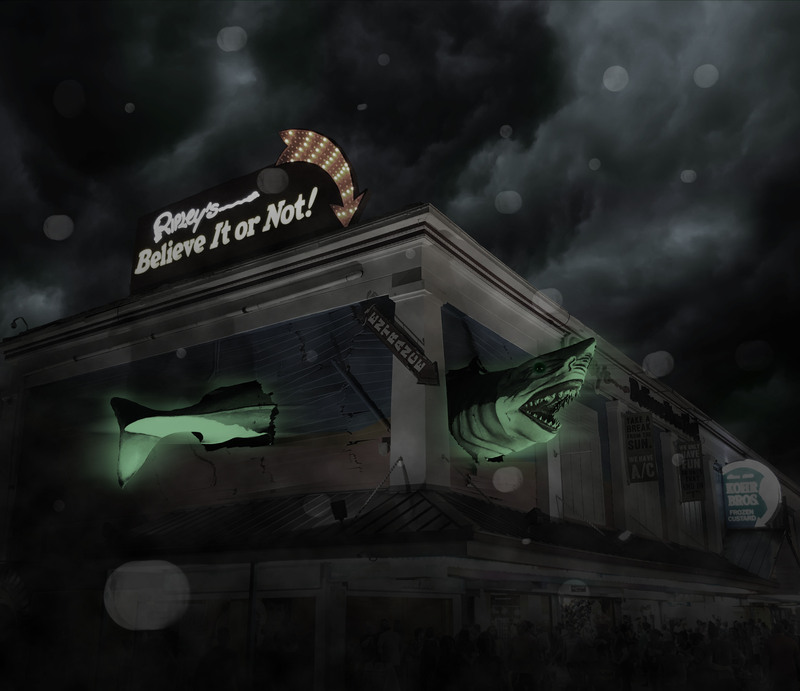 I photoshopped an image of their facade to give off the haunted style. They used the image in web ads on Facebook, local tourist sites, and even on LinkedIn. I later created a ticket and billboard design to complete a whole marketing campaign for the event. 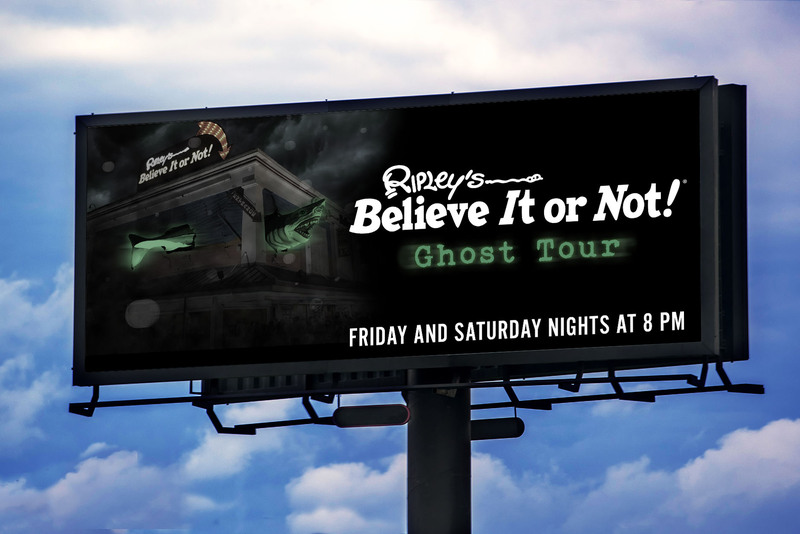 The ticket and billboard are concept designs only, they were not used or approved for trademark by Ripley Entertainment.